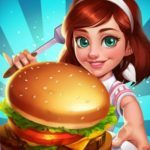 Bakery Story 2 puts you in charge of your own bakery once again, as you bake sweet treats and serve all your customers. This is the follow-up to another Storm8 game, Bakery Story, and for those who aren’t familiar with the first game, you’ll get 3D bakeshops, chef mini-games that “make you feel the heat of the kitchen,” and other types of mini-games that allow you to build the best possible bakeshop with custom furniture, art, and other goodies. 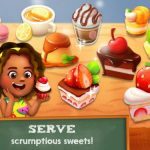 The game also claims that bakery stories are unique to each player, and that it comes with “thousands” of customization options. That’s just about all that we can say (or most of what Storm8 has to say) about this game, but we won’t leave you hanging for much longer. 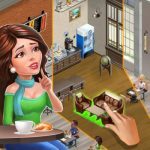 Here are some Bakery Story 2 tips and tricks that could get you on the fast track to running a successful bakeshop that runs like a well-oiled machine. 1. It’s All About Speed, But How Fast Can Your Products Sell? 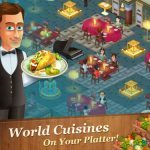 The game allows you to bake as much food as you wish, but the question you may be wondering about is how fast you can sell your food. It will all depend on the number of counters, tables, and chairs in your bakery. Take note, however, that there is an “art” to arranging your bakery furniture, which we shall be talking about next. Ergonomics may dictate that you space out the tables and chairs in your bakery. But when it comes to gameplay, what you want to do here is to set your tables and chairs close to each other. In fact, some recommend that there be no space in between each of them. In the real world, that could be uncomfortable, but in the game world, your customers will sit on the chairs just the same, without any complaint. The same applies to counters; they should be close to each other or not spaced out at all, and your pastry chefs wouldn’t mind it one bit. Probably you thought of the time lapse cheat as a way to make things move a little faster in this game, to make things get completed faster than they normally do. That’s a fair enough guess, but we would actually suggest that you do things the honest, and social way – connect your game to Facebook and invite your friends to play. Just be sure you’re inviting people who actually want to play and don’t mind getting sent game requests, and that you aren’t pushy about it, or you just might see your friend count go down if you pester them too much. Once you’ve found friends to help you speed up things, you can send each other Quick Serves. Use this instead of paying gems so you can complete food items immediately. Don’t mind it too much if all your ovens are full. You can still buy from outside vendors, which would allow you to have the ingredients needed when an oven becomes free. Keeping this in mind, make sure your pantry is regularly updated so you have enough space for inventory at all times. My game won’t give me any reward tasks anymore. What’s wrong.